Neuf Short Shifter kit for Fiat 500 and Abarth with manual transmission. This is perfect to shorten the shift length and make it more crisp in the most cost effective way. While every other Fiat Short shifter kit replaces the entire shift lever and sometimes even more this simple shifter adapter just snaps on. 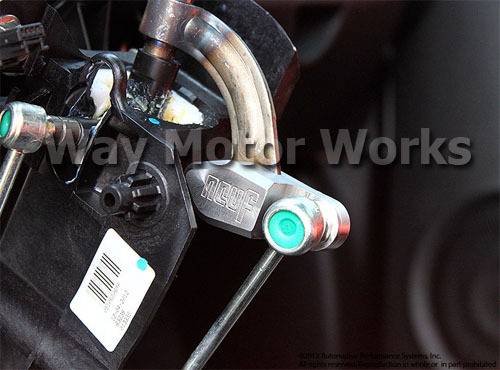 This adapter clips onto the existing shift lever and extends it down to the shift cable. 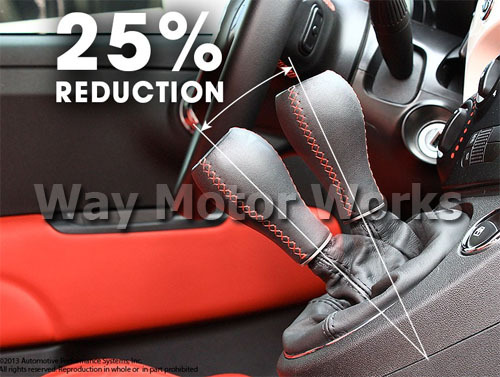 This will therefore shorten the throw without modifying the shift lever or shift knob. 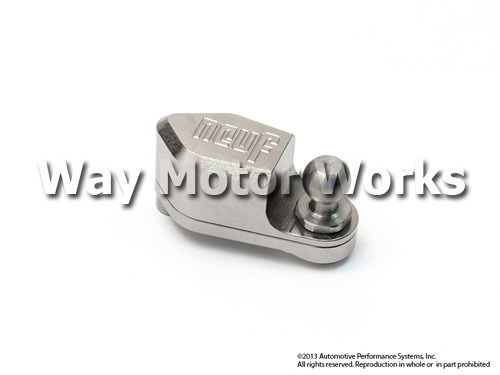 Neu-F's Patent Pending short shift adapter is made utilizing CNC machined Chromoly Steel. This material is known for its high Rockwell hardness which gives the adapter its strength and rigidity. Another good characteristic of Chromoly is its material density and weight. The heavy and solid adapter acts like counter weight, giving the forward/aft shifting motion a much smoother feel, eliminating notchy gear engagement. Since this part is much less material and machine time to make we are able to offer it at a significant price reduction over all other shifters on the market. This Neuf short shift adapter will reduce shift travel by 25%.